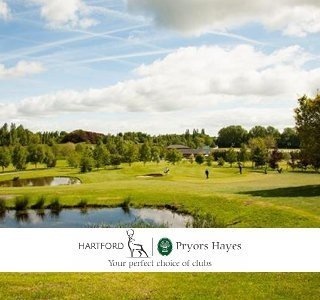 It's a warm welcome to our latest newsletter bringing you all the going's on at Cheshire's friendliest Golf Club, you can keep up to speed with our daily updates by liking our Facebook page, following us on Twitter and checking out our Instagram page. 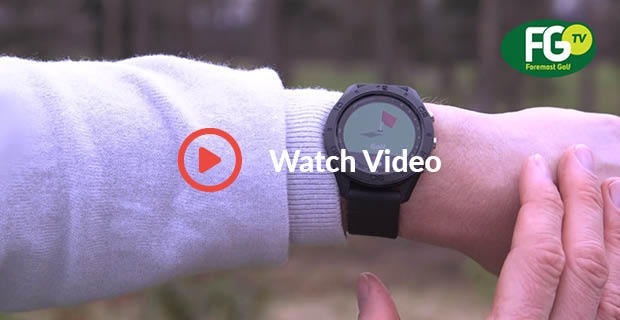 The hottest clubs of 2018 are now here to try! It was a damp start for round 7 of the Winter League on Saturday, as usual though the scoring was good despite the conditions. The winning pair were the husband and wife duo of Mike and Beth Littler, they have been improving steadily with each round and this weekend they had their best score yet with 25 points. Mike had a magic spell in the middle where he had a birdie and 3 pars in a row whilst Beth contributed another 2 pars to the scorecard. The Littler's just edged out Gareth Eaton and Liam Tyrer on a card play-off after they also scored 25 points, they scored one under par 34 gross for their round with 2 birdies and just 1 bogey. Gareth and Liam's bumper score has moved them right up the table into contention with just 2 rounds left to be played. The next round will be played on Sunday 11th February at 11am. The ladies played their first 9 hole strokeplay competition of the year last Thursday and it was a close affair at the top with three ladies scoring nett 37, after a card play-off Audrey Kettle came out on top thanks to a crucial par on the 8th hole. This was Audrey's first victory since her Midweek Trophy win last September. Gemma Davies took second place and she also had the consolation of scoring the lowest gross score. Joyce Graham finished in third place and surely a win is around the corner for her as she has now finished in at least the top 6 places in her last eight competitions in a row. The next ladies competition is the Winter Foursomes next Thursday 8th February at 9:24am. 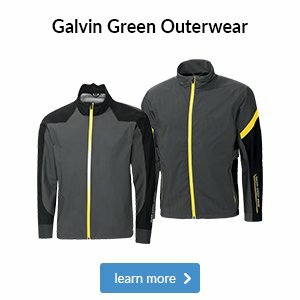 Although they aren't officially released into stores until 9th February, we have some hot new clubs for you to try right now in terms of two of the biggest companies in golf with the Callaway Rogue series and the new TaylorMade M3 and M4 ranges that have arrived early into our fitting studio. The Callaway Rogue driver is particularly impressive offering increased ball speed and pretty much unrivalled levels of forgiveness through an improved lighter and stronger Jailbreak design, we've already sold one to the first customer who tried it! 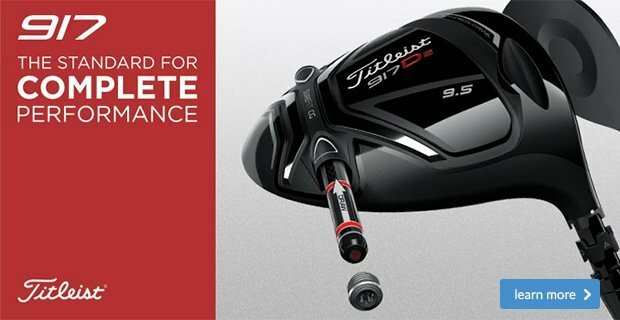 TaylorMade M3 and M4 drivers, featuring twist face technology used to great effect by Rory Mcilroy in Dubai when he hit three drives in a row over 350 yards and the M3 driver helped Jason Day return to the winners circle in America at the weekend. Callaway Rogue fairway woods are going to be a hot seller this year, crucially they are the first fairway woods that feature the same Jailbreak technology seen in the drivers, suddenly par 5's can become reachable in two. 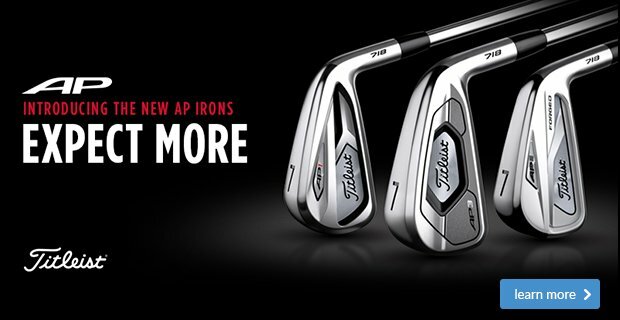 TaylorMade M3 and M4 irons feature a new Ribcor chasis that makes the club face more stable and more forgiving, last year's irons were good but these are even better and with a more pleasing sound and feel as well as better performance. Callaway Rogue X irons, would you like more distance on your iron shots? If so these are the clubs to try - the thinnest club face of any Callaway iron and the lightest and longest in length with a wide sole and tungsten weighting to promote high launch and maximum distance. If you want to make 2018 your best season yet then making sure that you have the right clubs is an essential part of that and with these hot new clubs they really can make a massive difference to your game, to book your fitting session now please contact us here. Another opportunity for you to have a fitting on any of the new Callaway range is coming up next Wednesday 7th February from 2pm-6pm when Tom from Callaway is visiting us with all of his new demo clubs to carry out FREE 30 minute fitting sessions. There will also be some great offers on the night that you won't see anywhere else. We still have the following times available to book: 2:30pm, 3pm, 3:30pm and 4pm. When new spring clothing arrives, you know that the winter season is getting nearer to the end (at last!) and we had our first delivery of the year last week in the shape of the new Under Armour range. 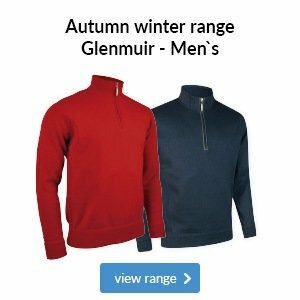 Under Armour is the hot brand in golf at the moment and this latest collection is again sure to go down well, one item that is ideal for this time of year is the EU Midlayer quarter zip top. It looks stylish and is made from a 4 way stretch fabric to allow you ease of movement when swinging, crucially it is also Storm coated to repel water and keep you dry but has a brushed inside finish to keep you warm too. 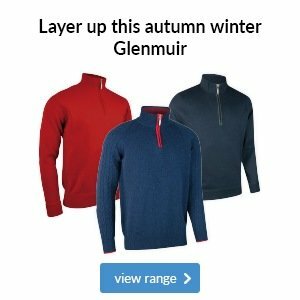 It is so light it's the perfect top to keep in your bag for when the weather is on the colder side and it's great value at £59.99. 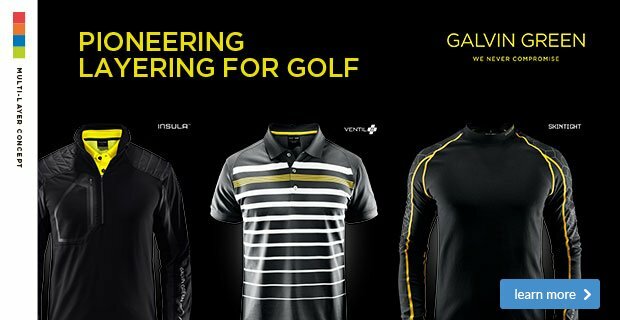 Look out in the shop over the next few weeks for lots more spring arrivals from Galvin Green, adidas, FootJoy, Peak Performance and more of the Under Armour range as well as new shoes from FootJoy, adidas, Skechers and Under Armour. Just to underline the fact that Spring is just around the corner here's a photo Tim Barnes took on Saturday of the snow drop flowers coming through to the left of the first fairway, not quite sure what he was doing so far from the fairway but it's an encouraging sign that Spring is on the way! 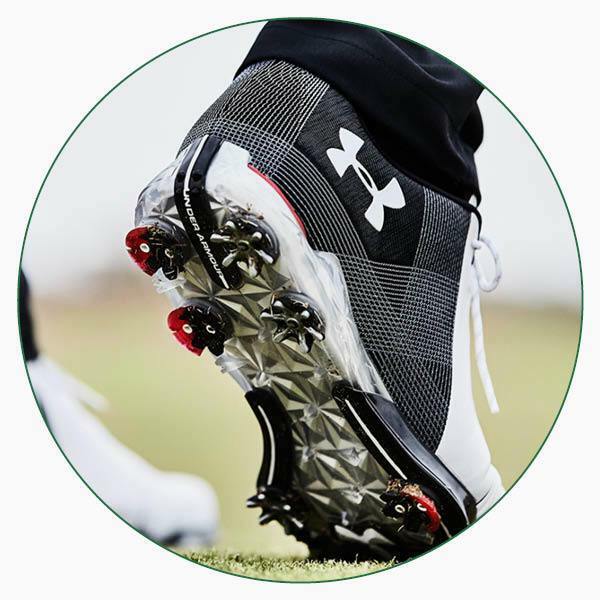 Not only is this shoe worn on tour, but the Under Armour Spieth 2 was also made with Jordan Spieth’s direct input to create the perfect balance of grip, support and stability he needs to swing confidently. One of the biggest talking points is Under Armour's innovative outsole with Rotational Resistance spikes on the inner heel and outer front parts of the shoe for increased traction in every direction. 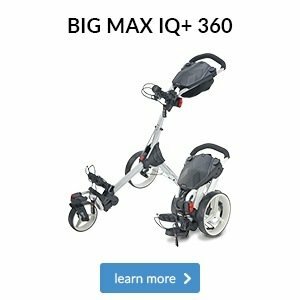 Before you settle on your ball of choice, here are two great models worth trying for a round or two. 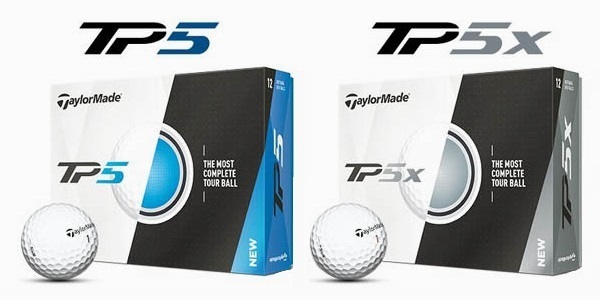 The TaylorMade TP5 and TP5x golf balls created a huge buzz in the golfing world last year with Dustin Johnson, Justin Rose and Rory McIlroy all putting it into play. If you're after consistent feel and dependable ball flights in the wind then this ball will take some beating.